Rich with history and legend, the tiny Chihuahua dates back to pre-Columbian Mexico, and is the oldest breed in the Americas. Chihuahuas are believed to descend either from the Techichi, mute companions to the Toltecs, or from small Chinese dogs brought to the Americas by the Conquistadors; it is also possible that both theories are accurate and the Chihuahua is a mix. The Techichi historical record only goes back to the ninth century but it is likely that the Chihuahua’s ancestors predate the Mayans. The remains of dogs resembling the Chihuahua have been found in the Pyramids at Cholula on the Yucatan Peninsula, which predate the 16th century. The Aztecs, who eventually conquered the Toltecs, adopted the Chihuahua as a sacred icon of the upper class. It is said the dogs were used in religious ceremonies to redress sins and as guides for the spirits of the dead. Christopher Columbus refers to the tiny dog in a letter to the King of Spain. Without doubt, the Chihuahua’s principle home was present-day Mexico, but the breed’s immigration to Europe may have been Columbus’ doing. Unfortunately to date – no one history of our breed can be agreed upon and the wonderful legends are a part of the mystery of our breed. Genetic testing suggests that the modern dog as we know it originates with other modern breeds around the 1800’s. The Chihuahua draws its name from the city of Chihuahua - which was once the capital of Mexico in the mid to late 1800’s. This tiny dog was found along the borders between Mexico and Arizona – in particular the then capital – CHIHUAHUA! 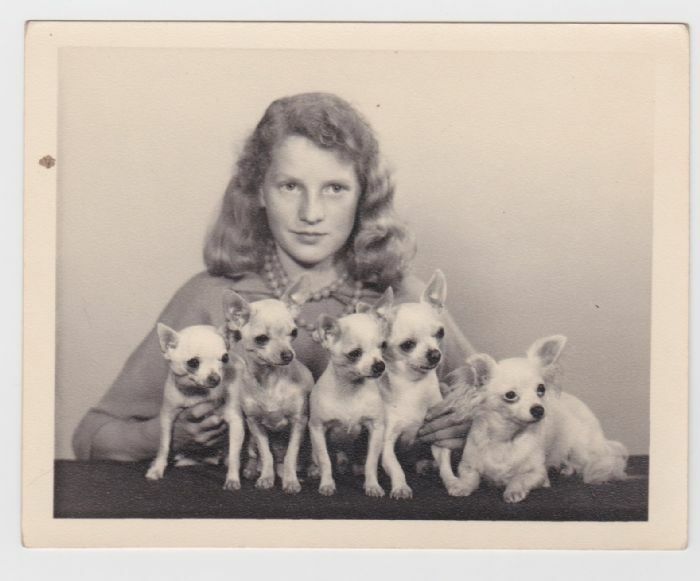 The first Chihuahua’s introduced into Australia were in December 1955 by Mrs. E.M. MacMahon of Victoria. 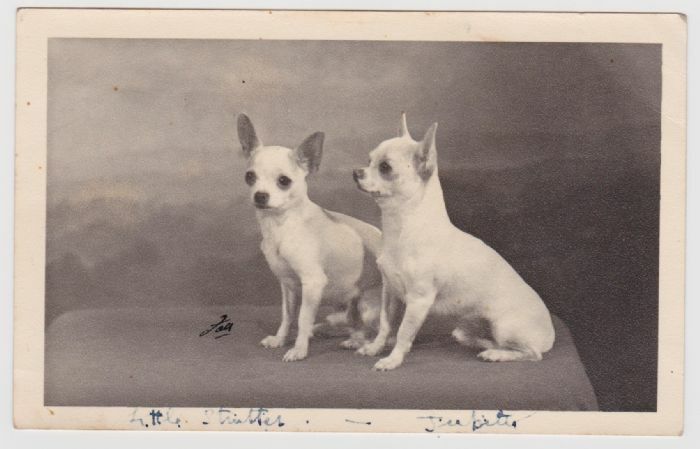 It was with these four original Chihuahuas that the famous "Chicdale" breeding line was established. 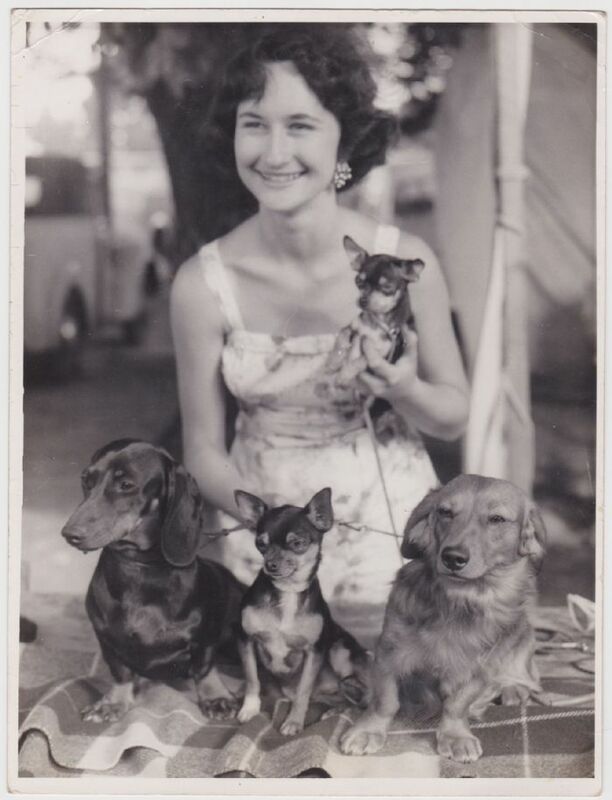 Mrs. MacMahon was the founder of the Victorian Chihuahua Club.